﻿How will I know which evaluation type I will be evaluated with? ﻿what is the timeline for the year? The timeline below will help PGES participants keep track of what needs to be done month by month during the school year. R﻿emember that we will be only verifying rosters in CIITS. Other items formerly housed in the EDS portion of CIITS (such as self-reflection and growth goals) are now done by hand and given to your principal or kept for your reference. Barren County forms will be within the appropriate section below. How do i complete the initial reflection and self-reflection? *Copy of Part A of the Reflective Practice and Professional Growth Planning Tool is turned into principal by September 15. *Documentation Form is turned into principal by September 15. Below are some helpful tools if you would like clarification on the process. Just remember that you must use the Reflective Practice Professional Growth Tool and Documentation form above instead of other state tools according to our district evaluation plan. Initial Reflection Tool does not have to be redone every year in entirety, it may be updated. Have a highlighter ready. On this handout are all the domains with their indicators listed under each in random order. Highlight all indicators that describe your current practice. This will take about 20-25 minutes. Take out your copy of the Framework for Teaching. Use the performance levels in the framework to match your highlighted indicators to the performance levels. Look holistically at the highlighted indicators across the performance levels, mark your rating for each component. Now you are ready to use this info to fill out Part A (Initial Reflection) which is page 1 of the Reflective Practice Professional Growth Planning Tool. For each component (ex. 1a, 1b etc...) mark the level that describes your performance level (Ineffective, developing, accomplished, exemplary) based on your findings above during your Initial Reflection on the Reflection and Professional Growth Planning Tool (Part A only-page 1). For any area that you rate as ineffective or developing, write a statement of explanation in the box on why you rated yourself in that way. Look at your ratings and fill out the box at the bottom identifying the domain and component you wish to focus on. Submit Page 1 and the Documentation to Evaluator forms to your primary evaluator. After the Self Reflection is completed, the principal and teacher will set up a time to meet and begin the PGP. Prior to this meeting review the components and your ratings, identifying areas which you marked lower that you consider might be priority areas for your own professional growth. From the priority areas identified, narrow your priority areas to 1 area upon which you will focus your professional growth goal for this school year. How Do i verify my classroom rosters? Rosters are verified by teachers in CIITS after the first two weeks of school, the last two weeks of the first semester, the last two weeks of March, and before the end of the school year and prior to any assessment. Use Google Chrome or Firefox when logging into CIITS so all components will work. Be sure you allow pop-ups from this site if prompted. The Barren Co. Technology Services Dept. has added the Chrome browser to the logon script for all networked machines. Chrome should be already available to use on district workstations. If Chrome is not present there may be an issue on the machine - please submit a work order to get it added if it is not present on your desktop or programs listing. Click to Submit a Work Order to the Tech Dept. This short video below from Pearson Power Source will go through each step of verifying a roster on CIITS. The reference card below from Pearson Power Source is also a great resource to print out to serve as a quick reminder. REMEMBER TO USE GOOGLE CHROME or FOXFIRE. INTERNET EXPLORER WILL NOT WORK CORRECTLY. 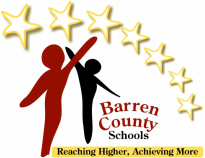 Click on the CIITS Tab on the Barren County Home Page underneath the Aesop Sub Calling tab. Hover over the Educator Development Tab (Top Middle Of the screen). Click on Verify Student Roster. If each roster is correct, check in the shaded box at the bottom and then click submit. If you need to add a student, click Request Addition and put student name in along with student ID. Remember, to always click shaded verification box for any changes to your roster. How do I create and document professional Growth goal(s)? *Part B of the Reflective Professional Practice Growth plan is shared with principal by October 15 and signed in the appropriate area by principal. Mid year review is also documented on Part C and End of Year or Summative on Part D by teacher and principal. After you have completed your Self-Reflection and part A of the Reflective Practice utilize the Reflective Practice and Professional Growth Planning Form Part B (Connecting Priority Growth Needs to Professional Growth Planning) to document your Professional Growth Goal. This is the same form you used in Step 1 but for the PGG use the second page (Part B). Professional Growth Goal: This school year, I will learn the LDC strategy to support my students in meeting the Common Core standards. I will work with my PLC team to design action research around implementing LDC modules as intended. I will collaborate with my PLC team to review instructional strategies and analayze student work. Success criteria includes self-reflection, student surverys, analysis of student surveys, analysis of student before and after work samples, and “good to go” modules. How do I write and document student growth goal(s)? *The BC Student Growth Recording Form is used year long. Initially, you will write your goal at the top of page 1 and complete the form down to Post-Test Analysis section. You will turn this SGG Recording Form into your principal by November 15. Your principal will approve or ask you to revise your SGG. This same form will be used when you are evaluating whether or not students met the student growth goal. This completed form will be given to the principal by April 15 for non-tenured staff and May 15 for tenured staff. Use the form below unless you have taught grades 4-8 reading or math in the last 3 years. Teachers who will have a state median student growth percentile (if you have taught 4th-8th grade reading or math in the last 3 years) will use the form below. Follow the steps outlined in the KASC Tools below to build your Student Growth Goal. After you have gone through the process and are sure you met the SMART Goal criteria, enter appropriate areas on the Barren County Form. Discuss and receive approval from your principal. The BC form will also be used for you to document if you have met the student growth goal. The peer observation template is for the peer observer. It contains a Pre-Observation Form and a place to take notes during the observation. The Post-Observation Form is used for conferencing. Only the Peer Observation Documentation Form is turned into the principal. *The BC Peer Observation Documentation Form is turned into the principal following peer observation(s) and conferencing. This is the ONLY form turned in. The other forms are for peer observer and the teacher only. The PowerPoint below is an excellent review for observers as you begin the observation process. This video and PowerPoint are an August 2012 publication and although some things may have changed based on the feedback from the field test, they still provide a good overview of the process.